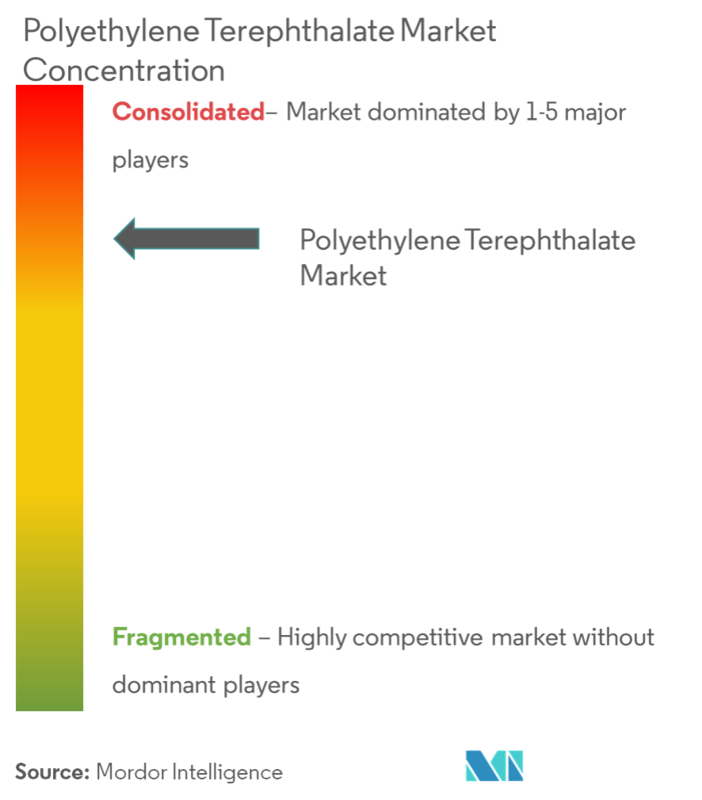 The global polyethylene terephthalate (PET) market is expected to register a significant growth, an estimated CAGR of 5.33% during the forecast period. Major factors driving the market studied include growing food and beverage industry, increase in PET collection and recycling rates in Europe, and demand for sustainable and recyclable materials. Stringent regulations regarding the usage of PET and increasing usage of substitute products, such as high-density polyethylene, are expected to hinder the growth of the market studied. 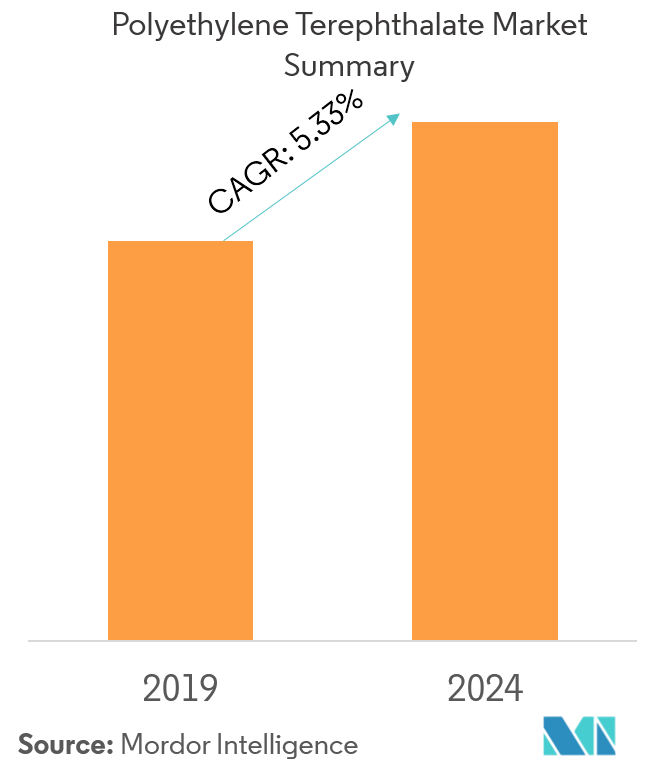 The shift towards flexible packaging is likely to act as an opportunity for the market's growth in the future. Bottles segment accounted for the largest market share of around 70% in 2018. Furthermore, it is estimated to register the fastest CAGR during the forecast period. Food and beverage industry dominated the market at an estimated share of around 75% in 2018. PET bottles are also recycled for various purposes. For example, they are used in solar water disinfection in developing nations, in which empty PET bottles are filled with water and left in the sun to allow disinfection by ultraviolet radiation. PET is useful for this purpose because many other materials (including window glass) that are transparent to visible light are opaque to ultraviolet radiation. Another niche application of PET bottles is as an Eco-Bricks in the developing countries of Asia, Africa, and Latin America. According to Indian Journal of Science and Technology, the PET bottles filled with sand, soil, fly-ash or any other material like a household plastic waste when well compacted can be used as a building material replacing traditional bricks. The strength parameters of filled plastic bottles are on a higher end as compared to traditional bricks. The eco-bricks are light in weight and possess the same thermal properties as of traditional bricks. The eco-bricks have high sound reduction index as compared to concrete blocks. Eco-bricks also do not permit light to pass through then as when seen by naked eyes. All the aforementioned factors, in turn, are expected to increase the demand for the PET market during the forecast period. 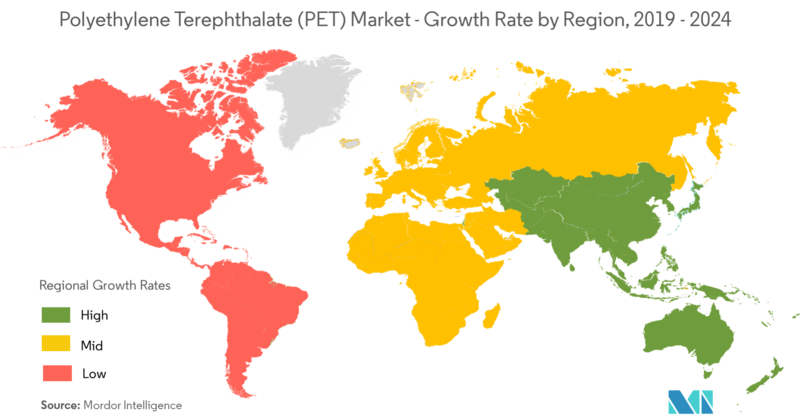 The PET market in the Asia-Pacific region is driven by the factors, such as population growth, the rise in disposable income, urbanization in developing economies, and growing demand for fast moving consumer goods. China accounted for approximately 20% of the global market and the demand is expected to grow drastically during the forecast period. China is a major producer of PET resins with the PetroChina Group and Jiangsu Sangfangxiang among the global largest manufacturers in terms of volume, in 2017, with capacities of 2.5 million kilo metric ton and 2.1 million kilo metric ton, respectively. The use of engineering plastic products in the packaging sector (PET containers, bottles, etc.) is increasing at a tremendous rate, owing to their advantages over the conventional packaging plastics used. The demand from industries like food and beverage, consumer goods, and others for packing materials is increasing in China, owing to the increasing exports, as well as domestic consumption. All the aforementioned factors, in turn, are expected to increase the demand for the PET in the region during the forecast period. The global PET market is a consolidated market, where the top 5 players account for about 50% of the global PET production. 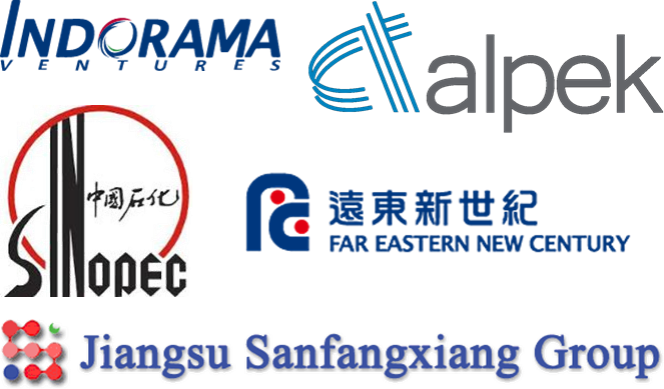 The major players in the market include Indorama Ventures Public Company Limited, Alpek SAB de CV, Sinopec Group, Far Eastern New Century Corporation, and Jiangsu Sanfangxiang Group. 6.4.16 Alpek S.A.B. de C.V.